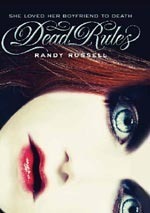 When I picked up Dead Rules I thought it would be one of those silly YA books with dead/zombie -like kids in high school who fall in love blah blah. However, I soon came to the realization that that was not the case and that something deeper and more serious was going on in the world of Dead Rules. Jana dies in a horrible bowling accident and goes to a place I wouldn't exactly call it heaven, since there's a school in it, but another plane of existence. She meets new people and seems to get along just fine in Dead school. The only problem is she left behind Michael, the love of her life, her soulmate. And she wants him back. I loved Russel's writing. How he handled and chose to portray the deaths of students at Dead school was incredible. He didn't try to be all gloomy and dark but not silly and superficial either.The little bits when everyone told the story of how they died were brilliant. Especially Wyatt's story which you find out later links with someone else's and you can't help but go "Oh my God, wow!". Character's emotions, especially characters that died of a completely ridiculous cause, like bowling or they chocked because a bird flew in their mouth, were written perfectly by Russell. As for the characters themselves, I liked them all. Except for one of course, who I think is one of the most disgusting and genuinely evil characters in YA history. Definitely in the top 5. Thing is, Jana dies and she is so in love with her boyfriend ,Michael, that she wants him to die too. So when she starts fantasizing about killing Michael so they can be dead together and then wondering why hasn't he committed succeed yet, he didn't love her enough?, honestly I thought it was tons of creepy. It was so out of the charts selfish and generally not excusable in any way. I like that Russell chose to show a darker side to Jana, though. Instead of picturing only two sides to the story, the one black and evil and the other white and good, he chose to add a dash of black to the white just to make it more interesting. And he did. We only get to see what's on the surface of a teenager's heart and mind and close our eyes to the tragedy that lies underneath. Jana had plenty of that. Not only because of her love troubles but also because she grew up with an absent and kinda terrible mother. I also thought of Jana's character as a kind of "parody" homage to all the super teen agnsty characters in YA literature. How far is an emo teen willing to go to be happy and get what they want? I liked Mars with her, too. How he is the exact opposite of her and how they balance each other out perfectly: her good is his bad etc. Plus his last name is Dreamcote. Need I say more? Don't let this book fall through the cracks, you guys. Randy Russell's debut novel is absolutely amazing! If you want to read a different approach to teenagers and the problems that preoccupy their mind even when they're dead, you should totally read Dead Rules. 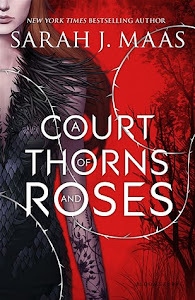 I don't know if it's gonna be a series, but count me in for book #2! I honestly never would have read this one going by the summary. It sounds like just another angsty YA love triangle but you have me convinced. Awesome review! Karen, really it's awesome. Read it. Yayyyyy! So happy you loved it!!!! I'm hoping Harper picks up the sequel -- I can only imagine what we will be in store for! I've got an arc of this sitting on my shelf but I keep putting it off because I feel it will be just like all other paranormal teen stories. I'm glad to hear that it was so great and I will certainly have to read it now. Thanks for the great review. @Alexa: nothing like the other YAs.Read it!